It was in 2010, when I was preparing my lesson plan to revise the theory of the 5 elements from Chinese Medicine with a group of 2nd year shiatsu students and considering different teaching methods, that the idea of using constellation approach crossed my mind. At this point I was more than half way through my second year training with the Centre of Systemic Constellations (CSC) having completed the first year in 2007. I wondered if constellating the five elements would be a good way to help students understand and experience the elements themselves and also the elements’ relationship to one another. That was all I had in mind at that moment in time. The first documents related to the five elements or five phases theory is from the fourth century B.C.E.¹. The elements, associations and cycles were a way that the rural culture of China observed nature’s natural processes. The result of this empirical process was the awareness that each element relates to the other elements in a similar way internal organs relate to other internal organs, as well as different parts of the body, mental and emotional states. The awareness of the interconnection, interrelatedness and interdependency of every part of the body, mind and emotions². 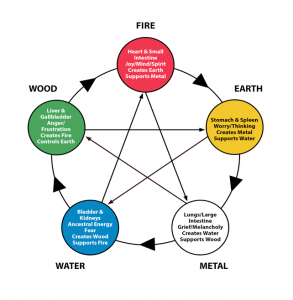 Each element, Fire, Earth, Metal, Water and Wood have each their own characteristics and associations², some of these associations are illustrated in the diagram. Furthermore, there are two cycles, the creative and controlling cycles, that ensure harmonious and healthy relationship between the elements, similar in nature to the ‘Orders of Love’³ from Bert Hellinger. The Creative cycle is when one element creates and nourishes the next as in this sequence: Fire, Earth, Metal, Water, Wood and Fire again, forming the circle in the diagram, similar to parent-child relationship.The Control cycle, which I prefer to refer to as the supportive cycle, is when one element controls and supports the second element in a clockwise direction: Earth, Water, Fire, Metal, Wood, and Earth again. Similar to grandparent-grandchild relationship. Thus forming the internal cycle in form of a star. At the thought of using constellation process with the five elements I felt a rush of energy and excitement, as well as anxiety and doubt about the validity of combining these two unrelated approaches. After pondering for a good while I decided to go ahead with the experiment. In order to avoid intellectual and rational interference from myself or others, I would explain the procedure to the group and not the concepts, at least to start with. I explained to the group of students that I would choose some people from the group for an experiment. I would choose one person at a time, give this person a small piece of paper with something written on it, but for them not to look at what was written on it, simply to put this piece of paper in their pocket. On each piece of paper I wrote the name of one of the elements. I had these pieces of paper to ensure I would not forget who I chose to represent each element. 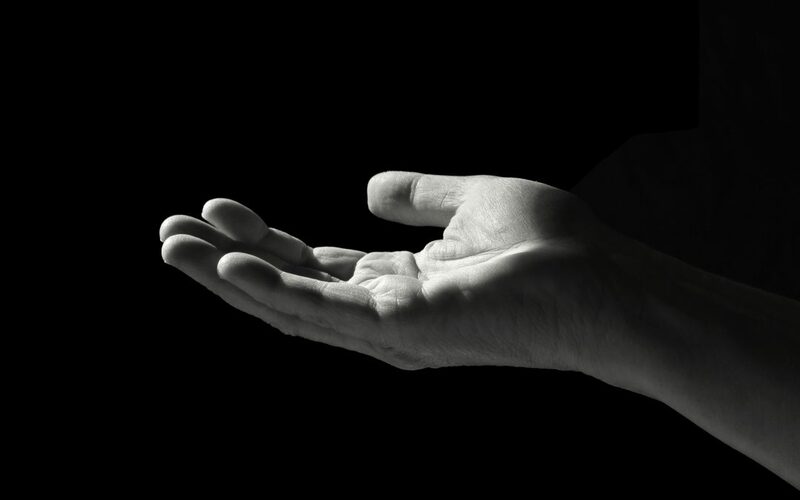 I would ask a person to stand up and I would stand behind them and place my hands on their shoulders and place each one spatially in relation to one another. Once I placed them, all they had to do was to notice how they experienced themselves in that place and in relation to one another. If they felt they wanted to move they could move. If anyone else moved position, to notice if their moving had any impact on them at all, better or worse, more tense or more relaxed. I purposely placed the elements in a different position to the Creative and Supportive cycles. I was anxious, apprehensive and even nervous about how this would go. I wanted to see what the feedback from each element representative would be and if the creative and supportive cycles would be manifested in this experiment, and how. This was a big question and I was far from sure what the outcome would be. What would it mean if it didn’t work at all. What if this experiment showed no relevant relationship between one element and the other, as I had learnt and have been applying in my shiatsu practice ever since I learnt it? Would it mean that applying two different and unrelated processes cannot work together, or that, there is no morphic resonance⁴ in the field of the elements and the theory of the 5 elements is just that, a theory. I had more questions than answers and was afraid of what would happen and the possible meanings I could extract from what would be revealed. The initial response from the five representatives was that they were not feeling well in themselves, apart from one who said it was sort of ok where she was. Additionally, most of them said, they didn’t like that much the person who was placed next to them. “It doesn’t feel right” was the common response. I encouraged them to try and find a place, if possible, where they might feel better. Also to notice how it was for them when they moved and to notice if anything changed for them when someone else moved. This process took some minutes and participants moved and changed positions many times. Slowly, one by one, they began to find a place where they felt better, where it felt ‘right‘ to be. They slowly formed a circle and felt it was good to have the people who were on their left and right hand side. As they felt settled and happy in their position, I had a look at the piece of paper each participant was holding without sharing with them what was written on it. I then realized they were exactly at the correct creative cycle positions. I was impacted by the realization that the five participants got themselves in the correct positions even though they had no information about the content of what they were doing. At this point, as all of them were looking towards the centre of the circle, I asked them to look at the person standing on their left hand side, which is the creative cycle. They all, in unison said, ‘this feels really good’. I then asked them to look at the second person on their left hand side, which is the supportive cycle. They once again in unison said, ‘this feels even better’. I was amazed with what I had just witnessed. At this point I asked the five participants in the experiment to look at what was written on the pieces of paper they were holding. They read it and slowly it dawned on them what the experiment was about. They realized they were representing the elements and that they, with no information whatsoever about what they were doing, formed and experienced the creative and supportive cycles of the five elements theory. This for them was no longer a theory, it was a felt experience. We were all flabbergasted. Some of them were asking ‘what has just happened here?’. We had moved from cognitive, intellectual mode of learning to a way of experiencing and learning that happened somewhere much deeper in ourselves and we were having difficulty in verbalizing our experiences. As a group we took time to digest and integrate the experience and learning. For me personally, the process of understanding and integrating the experience took much longer. I did not expect the experiment to show so clearly, faithfully and strongly the elements and the two cycles as it did. It took me about two years when I felt ready again to experiment with combining these two processes. 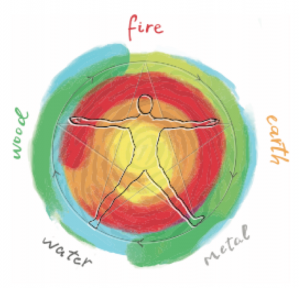 At the beginning of 2012 I run few evenings of 150 minutes each with mainly shiatsu students when I constellated the 5 elements. The second time the whole group was aware that we were looking at the five elements using the morphic resonance field⁴. In one of these evening groups I demonstrated how to place the elements in a blind constellation. No sooner had I placed the five representatives for the elements, each of the representatives started giving feedback about their experiences. I realized that they were representing my five elements. I realized to my shock that they were my own inner dynamics being expressed by the five people who were representing the elements. I recognised the truth of their feedback. I was very surprised and impacted. This experience repeated itself each time a person in the group placed representatives for the five elements. The representatives of the elements would share their experiences and the person would recognise the feedback as their own inner dynamics. These experiences informed me that the elements do indeed represent different aspects of the self. How a person representing an element feels in themselves and how they relate to the other four representatives indeed reflected inner, often hidden dynamics that the person has internalised, carries in themselves and are active in this person’s life, usually in a detrimental way. The discrepancy, the difference between what shows up in a 5 elements constellation to the ideal creative and supportive, is information. The discrepancies are an internal dynamic and show where interruption/s to the ideal cycles is/are. This innovative combination goes directly to the core dynamic and is proving to be a very reliable tool. Additionally, constellating the five elements could help enhance the person’s awareness levels of these inner dynamics and, similarly to family constellation, these dynamics can be experimented with in order to release stuckness, in order to support a movement towards integration, harmony and health, and, as much as possible, try and restore the two natural creative and supportive cycles. Often easing the way to a healthier and more harmonious way of experiencing life. After this experience and much reflection and a certain amount of supervision I felt confident enough that constellating the five elements could be an intra-psychic type of constellation worth pursuing. The first 5 elements constellation workshop was in October 2012. I have since been running 5 elements constellation workshop in London, roughly every quarter. I am having the opportunity to share this work in Sheffield and I regularly go to Argentina, three different cities in Brazil and three cities in Greece too. In a workshop when a person chooses to constellate the 5 elements there is not an initial interview and the constellation is usually blind. Constellating the 5 elements is an organically evolving process. Each workshop and individual session I facilitate informs me and new insights reveal themselves as to what each element represents and is related to in a person intra-psychic dynamics. For instance Earth element in oriental medicine is related to how the body processes and extracts life force energy from fluid and food as well as rational, intellectual processes amongst other things. Constellating the 5 elements, it soon became clear that earth element intra-psychically represents how we have internalised our mothers, and if and how we are receiving her life force. Wood on the other hand shows how we have internalised our fathers. Water, the source of life, how we relate to our source of life, our ancestry. Fire is the Id⁵, the part of us that feels, and Metal our ego, that important part of us that deals with everyday issues and specially difficult situations and has a clear sense of who I am, who I am not, our boundaries and limits, knowing that we are a unique relational individual and part of a family and a wider community and culture. With this understanding and together with the feedback from representatives, a difficult or stuck dynamic soon becomes visible. So far everyone who constellated their five elements has related to the dynamics manifested during this innovative combination. Constellation work in general, and specially to me the 5 elements constellation, never ceases to amaze me. The work evolves and grows organically and there is a significant compatibility of the five elements association and cycles with constellation work. I feel very inspired and excited by how the 5 elements constellation workshop keeps evolving and attracting people from all walks of life. My short term future plan is to continue running the workshops and to finish the Gestalt Psychotherapy Master’s training course. After that, it would be great if I can share and train other constellation facilitators how to constellate the 5 elements. Emerson Bastos, MRSS T, is a registered Shiatsu Practitioner and Teacher and Constellations Facilitator trained at the CSC. He gained a degree in Physical Education when he was still living in Brazil, his birth place. Since 1987 he has been living in London. His experience with constellation work started in 2004. His main interest is in finding the source, the ‘cause’. ‘Where the energy is not flowing’, ‘where the stuckness is’ and support the possibility for its release. He has combined the constellation approach with the five elements theory from Oriental Medicine and has been running Five Elements Constellation workshops for nearly five years, both in the UK and abroad. 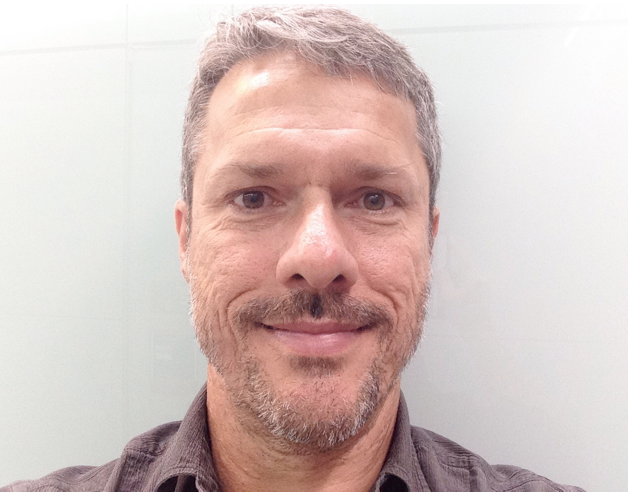 He is currently undergoing MA in Gestalt Psychotherapy training at the Gestalt Centre in London. Incredible story of the 5 element constellation! Thank you! Thank you for you comment Patrick.